Our showcase exhibition at People’s History Museum has been featured in an article in the Manchester Evening News. 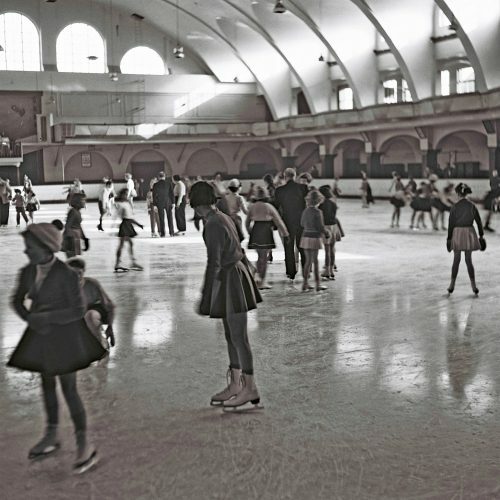 The article concentrates on some newly discovered images from the Manchester Ice Palace in Cheetham Hill. 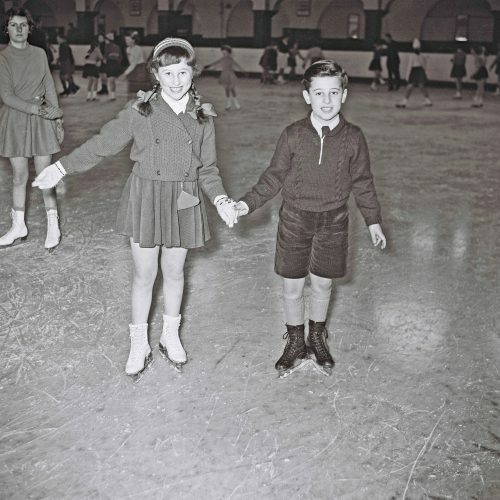 They show skaters at the venue on Derby Street, which was once one of the finest ice skating rinks in the world. It closed in 1967 but the building still remains, now used as a clothing warehouse. Click here to see the MEN article. Click here to see a second MEN article about our exhibition. 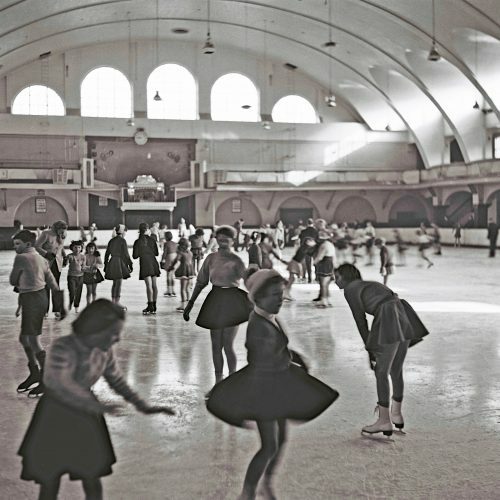 If these images bring back any memories for you of the famous Manchester Ice Palace, we would love to hear them. Please go to our Memory Book and add them to our collection. The exhibition runs from 25th November to 4th February at People’s History Museum in Manchester and features over 60 new images from our collection. Posted in Latest News, News, Uncategorised by Martin Bush on November 19th, 2017. Used to go on Saturday mornings with my mum. Had to set off early on the bus from Oldham. Was the highlight of my week and so sad when it closed. I now live in Canada and my ice skating skills are still with me.. lots of ice in the winter! I remember going there Saturday mornings, often with my cousin. It was called the Silver Blades, I think, back then. I think I was about 7 years old when I started going, in 1959. My Mum used to take me on 2 buses, from Moss Side, where I lived. As I got a bit older, I used to go with my cousin. 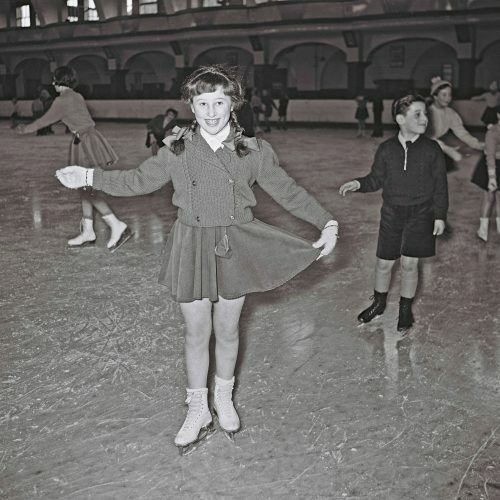 I spent most of my time outside school wearing roller skates, but always loved ice skating. I never had my own boots, just wore the ones that you could hire at the rink. People didn’t have much money in those days, and the boots were expensive. We moved to Brooklands near Sale when I was 10, and so it was too far for me to travel to. 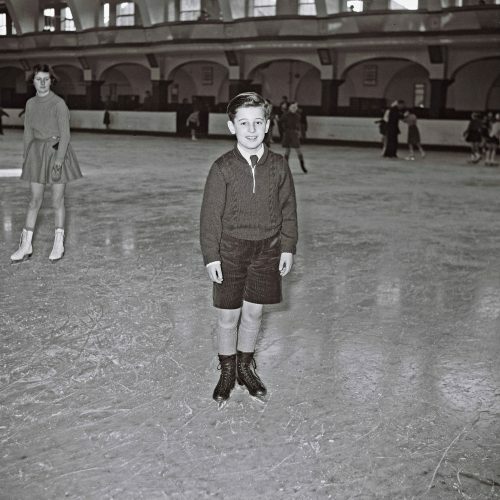 I started going to Altrincham Ice rink then.